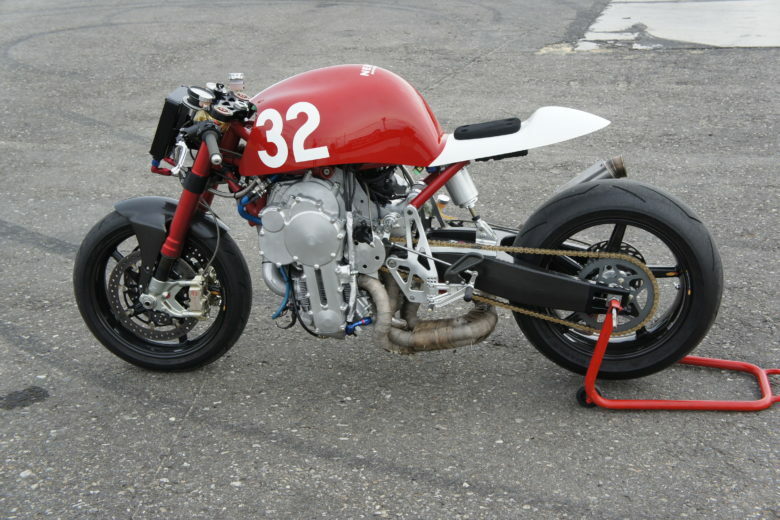 Nembo 32 is not a custom build aimed for style or a modified bike to be “faster” than stock. As there was no “stock” version here. The powerplant You see below the tank – is a custom made three cylinders 2-litre engine (where the number 32 comes from) placed upside down. 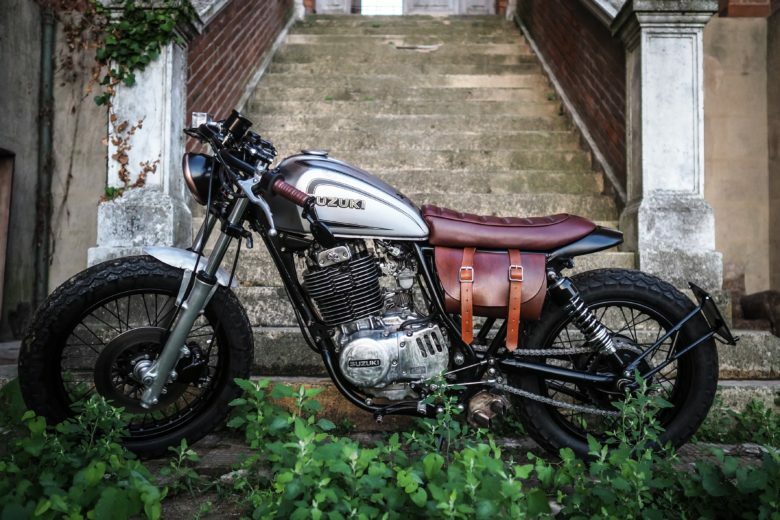 At first glance it kind of looks like the old Ducati Monster. Only at first, as when You look closer there is something not right with the engine 🙂 Actually, the Ducati comparison is quite a long shot, but I couldn’t resist it. 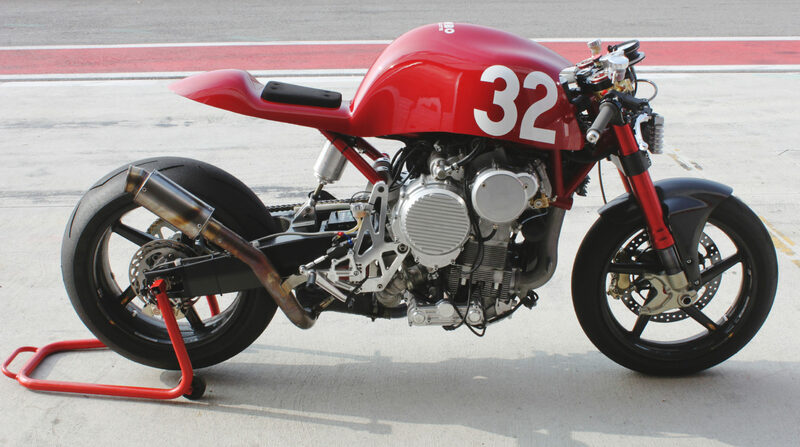 The first Monster was built by stripping down a sports bike. 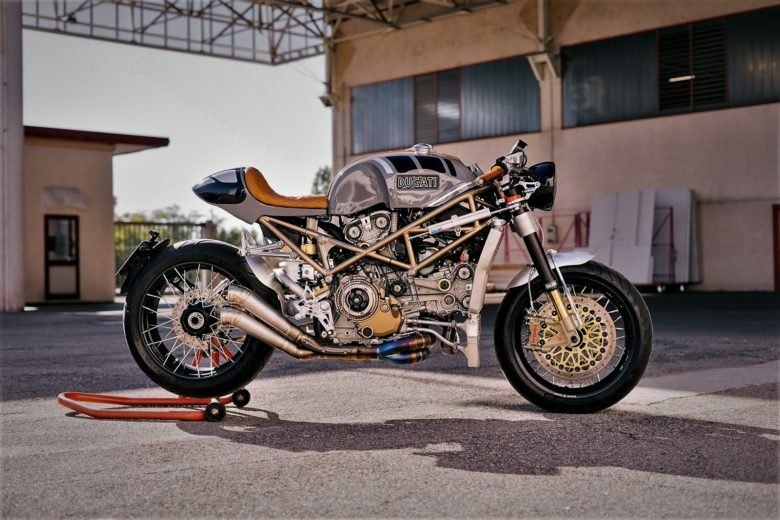 Moreover, Nembo 32 is all about performance, but it redefines the concept of a motorcycle, and it lacks the characteristic trellis backbone of the Ducati. In Nembo 32 the top of the engine does the job. A comprehensive explanation behind this build is required with the words of the builder. Yes. There is no mistake here. 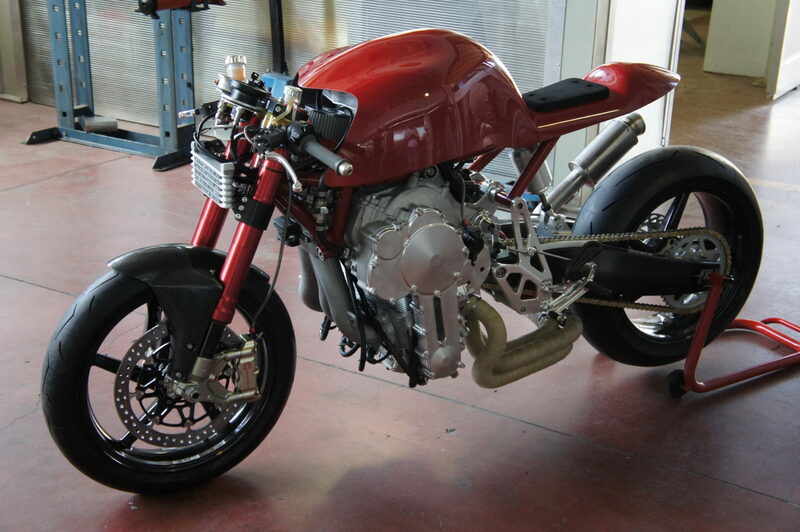 Not only the forks – it’s the engine that’s also “upside-down”. Why? 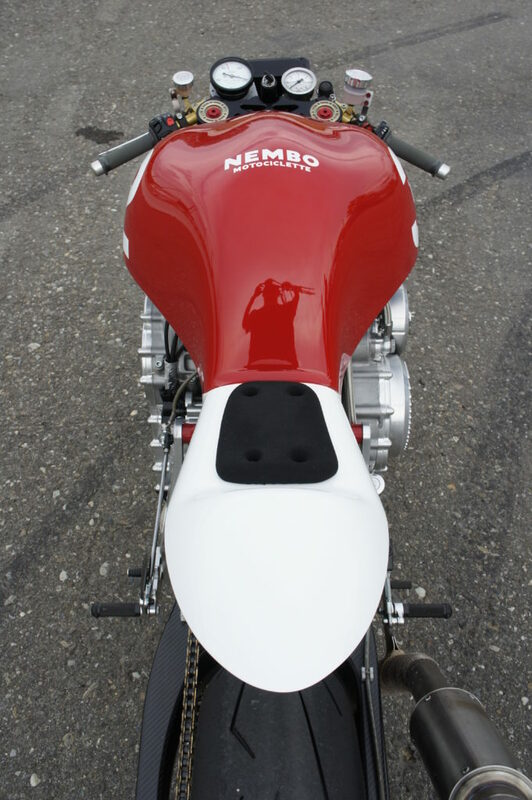 The Nembo is born from my will to increase, as never before, the centralisation of the masses of a motorcycle, by placing the engine upside-down and using the engine block as a chassis to bolt the front and rear end and any other part, without involving the cylinder block. Our “bike diversity” idea is based on the recognized technical benefits given by the upside-down placement of its engine, as better explained below and as attested by the success of the 2013 italian “Motociclismo” magazine test-ride, preceded by the 2012 invitation by BMW Group at the famous “Concorso d’Eleganza Villa d’Este” lake Como, Italy. 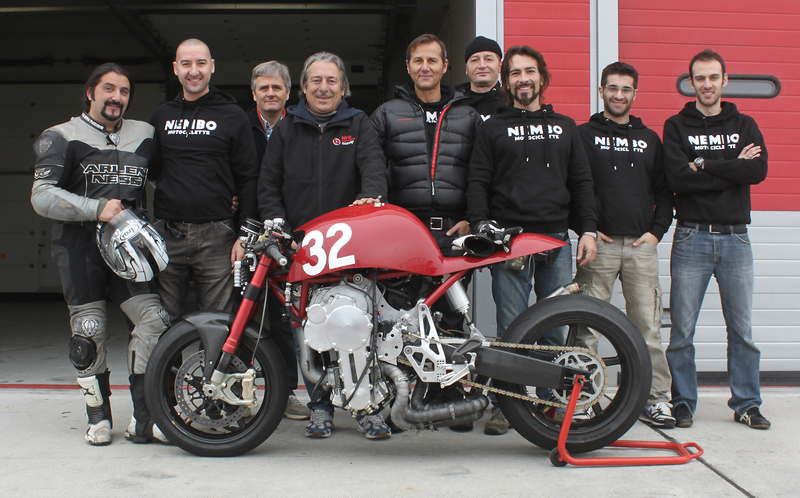 The Nembo 32 idea also started because, in my opinion, the more small factories exist, the better is for the motorcycle world and for its economy. It’s a people’s freedom matter. Currently, we see constant homogenization of form and functions, of shapes and performance. This is not healthy for “bike diversity”, nor for motorcyclists, nor for people, nor for work. Well, I couldn’t agree more on the second part. 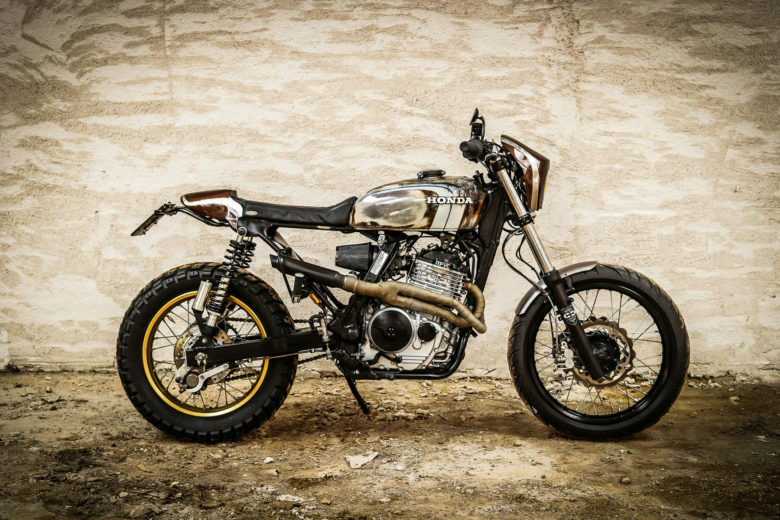 As the motorcycle world follows the car world – it becomes obvious what is going on. There is fewer original brands and manufacturers year by year. Right now even the most prominent brands are starting to cooperate – sharing the engine designs and other components. Soon – we will all be driving one car just with a different logo. So I keep my fingers crossed for everyone who dares to challenge this state of things. In a motorcycle, the mass system is unstable and variable, because it is in balance only thanks to its speed. In addition, there is the rider who continuously moves, changing the position of the centre of gravity of the system. 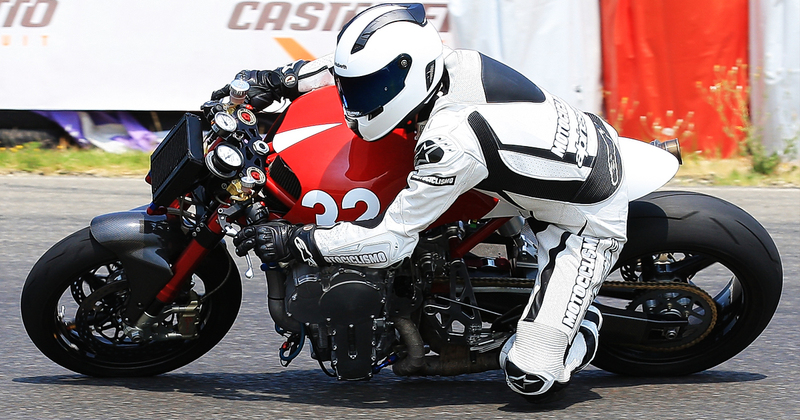 Due to their higher centre of gravity, sports and racing bikes are quicker to go down when cornering, even if they are more reluctant to pull themselves up for the changes of direction. The touring bikes, with a low centre of gravity, are easier to raise, but more difficult to insert in the corners. 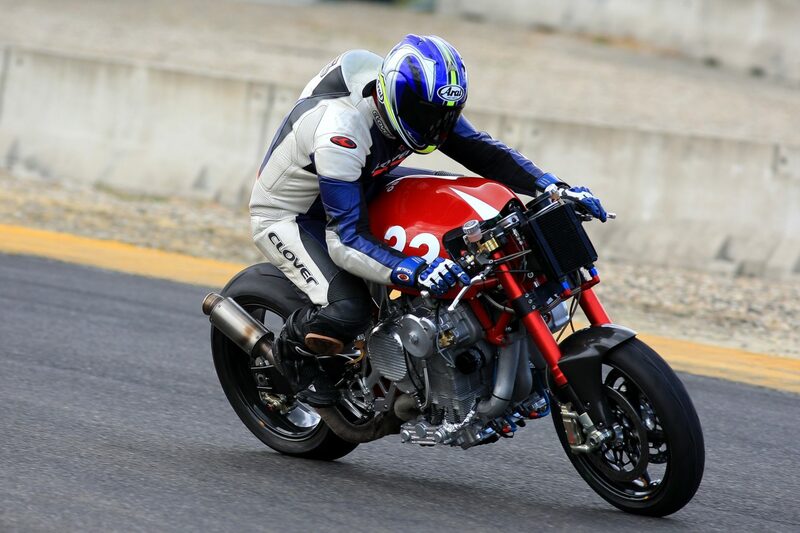 To make a sports bike more inclined to get up from the corners, we have to work on the distribution of mass, between the front and rear, advancing the engine to load the front more. At the same time, the swingarm is to be extended, to preserve the desired wheelbase and also to maintain good stability. 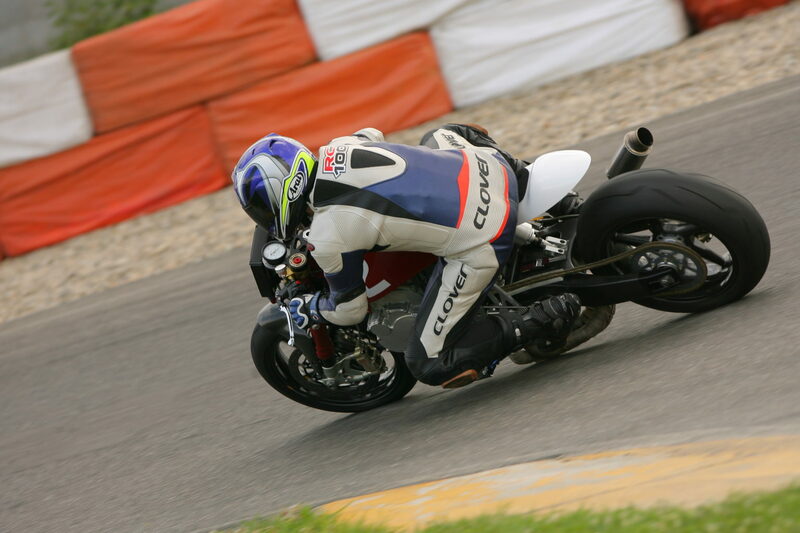 Not always scratching the knee-sliders, means you go faster in the corners than when you do not scratch. A motorcycle/rider system with a higher centre of gravity expresses, with the same tires and bending angles, a greater cornering speed. 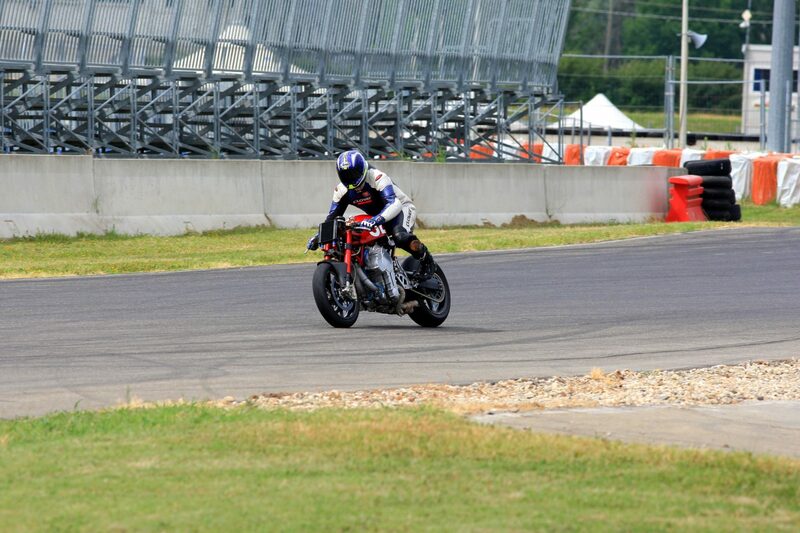 Raising the overall centre of gravity, the bike can lean less, at the same turn speed. Without affirming that a higher centre of gravity gives always benefits in the dynamic behavior, it is good to underline its importance for improving agility and reactivity. The importance of masses distribution with respect to the overall center of gravity is so fundamental. By centralizing the masses close to the center of gravity, you will get a more agile bike than another one having the center of gravity in the same position, but with the masses “scattered” here and there on the bike. To achieve all these primary goals, beyond the secondary ones, that I leave out, not to bore you, the most obvious solution was to invert the engine placement. And I did so. 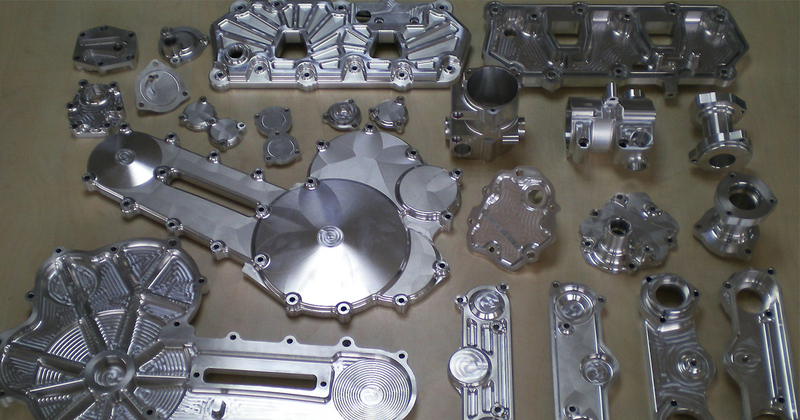 Finally, I can use the crankcase as a “platform” to which I can “bolt” any different technical and stylistic solutions. The 32 is now like a sheet written only in small part yet but the next is clear in my mind. 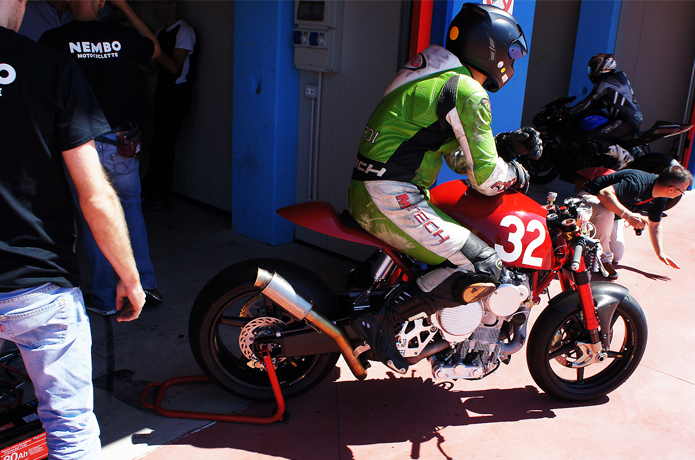 Creating a “friendly” bike, fun and ferocious, to enjoy, even if you are not Valentino Rossi. To achieve the above, the crowdfunding initiative was started. 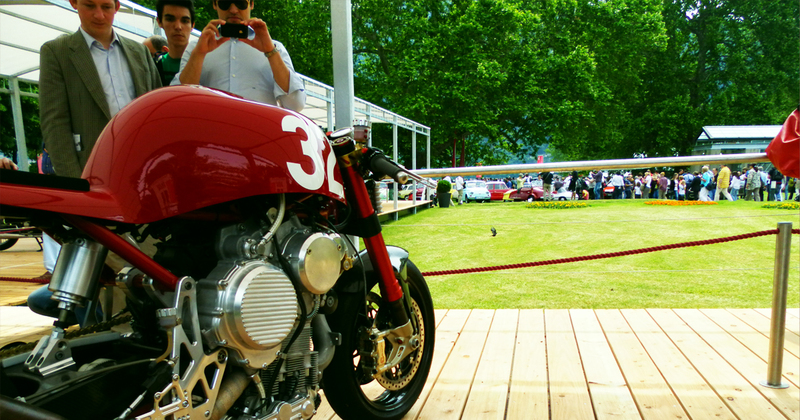 It is a fundamental moment for the story of Nembo Motociclette. At this point, the 32 must be produced in at least 100/200 units per year. To be sold at a much lower price, i.e. around 50/60.000 EUR. In fact, to build these so special motorcycles and engines, by order, one by one, is now too expensive. 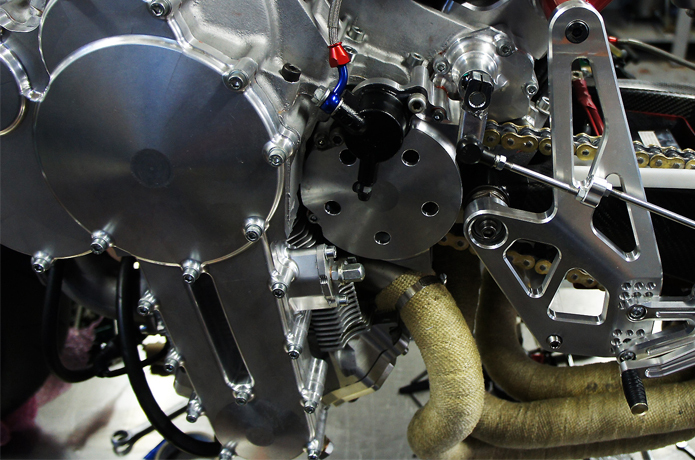 The construction of each 32 is done by hand and costs like that of a racing prototype. 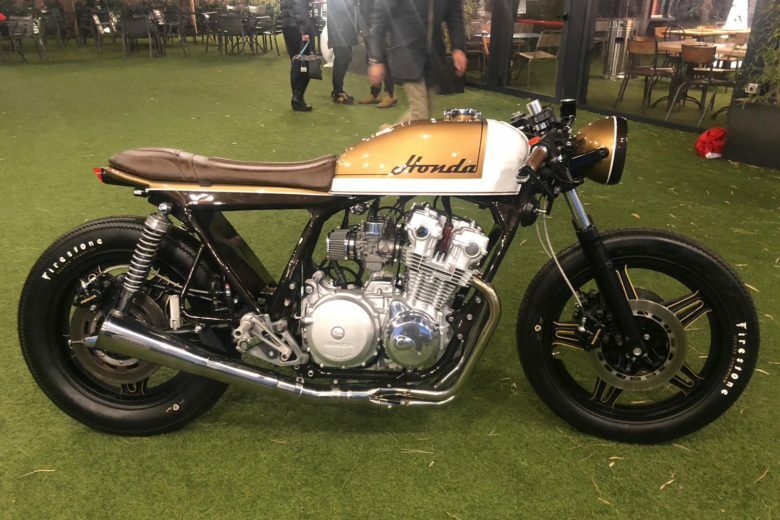 None, so far, has tried a crowdfunding campaign for an Internal Combustion Engine powered motorcycle, to create a fine running, semi-industrialized motorcycle brand to lower the unit cost. Read more details about the goals and problems to solve on the website linked above. PS. This is not a sponsored post. I was contacted by the builder that would like to get more range, share his project and passion behind it. After getting to know the facts and reading the press release, I was hooked and found it interesting. I’m not the one to judge on the engineering perspective, neither I had the chance to test drive it – so I won’t be making any definitive statements. But I love to share it with You – it is a different motorcycle story. And just that, being “different” makes the whole motorcycle world more interesting.